Reminiscent of an industrial type light fixture, this prismatic glass pendant is the perfect complement for an eclectic decor. Used in groups or singly, pendants offer a great way to add style and illumination to any space. Stem mounting system provides the perfect sleek suspension. A contemporary interpretation of an antique nautical lantern, Bay Court features concentric glass cylinders in contrasting clear and frosted finishes. Designed to be used singly in a foyer or in series over a dining table, kitchen island or as a wall bracket when installed on the P8762 accessory arm (sold separately). Prismatic Glass Collection 1-light Brushed Nickel Foyer Pendant Reminiscent of an industrial type light fixture, this prismatic glass pendant is the perfect complement for an eclectic decor. Used in groups or singly, pendants offer a great way to add style and illumination to any space. Stem mounting system provides the perfect sleek suspension. 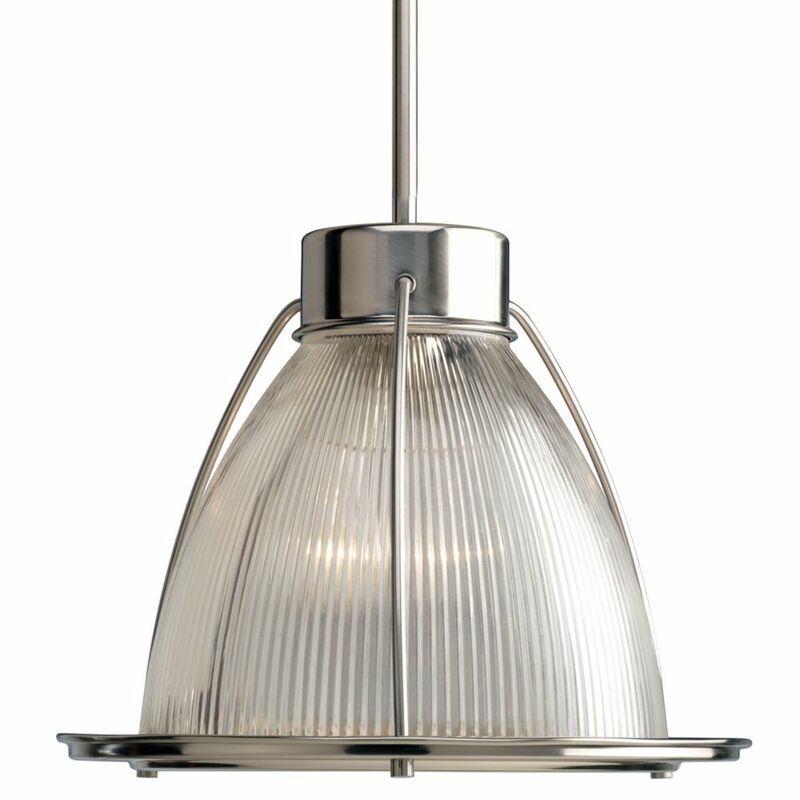 Prismatic Glass Collection 1-light Brushed Nickel Foyer Pendant is rated 4.0 out of 5 by 1.